Attorneys for the estate of a South Florida woman who died during surgery have filed a notice of appeal to the Florida Supreme Court after a divided appellate court decision favored a defendant anesthesiologist. The 3rd District Court of Appeal last month in a 2-1 ruling upheld a directed verdict for the defendant by the Miami-Dade County circuit judge. Although plaintiff attorney’s notice did not give any detailed information about the arguments that would be made before the state high court, the case originated with the 2009 death of a 45-year-old woman, who was undergoing a surgical procedure to remove a non-aggressive brain tumor. According to court records, defendant anesthesiologist conducted an evaluation of decedent prior to the surgery. She later died during the operation due to what the majority appellate panel found was an extreme loss of blood. 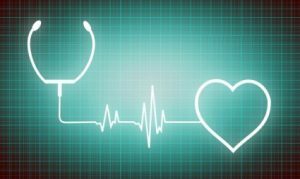 However, the dissenting opinion agreed with plaintiff that anesthesiologist erred in reading an electrocardiogram (EKG) prior to administering anesthesia. An EKG is a test that measures the heart’s electrical activities. While the majority justices found the doctor had acted properly, noting another anesthesiologist also conducted an evaluation prior to surgery, the dissenting justice sided with plaintiff in finding the results of that EKG were abnormal and should have been a red flag that there would be issues in surgery. That puts plaintiffs in a stronger position for the upcoming appeal. Defendant conceded an abnormal reading on an EKG would be an immediate red flag because such issues are relevant when administering anesthesia. He could have ordered another, high-quality test, as the dissenting justice noted in his 13-page opinion, but he did not do so. However, he said he “felt comfortable” with the results and wanted to spare decedent the cost of administering another EKG, which would have only taken about 20 minutes or so. His position was contradicted not just by plaintiff’s own expert witness (as required under F.S. 766.102(1)), but also with the hospital’s medical director, who testified someone with an abnormal EKG should not go to surgery until those abnormal results and a patient’s history are reconciled. Further, defendant anesthesiologist himself stated that had the surgeons known about either the EKG abnormality or another lab result, it would have been unlikely the surgery would have proceeded as planned. Decedent’s cause of death, as noted by the neurosurgeon who completed her death certificate, was failure. Before this matter was weighed by the appellate court, plaintiff settled with both the other anesthesiologist and the internist, while a jury found two neurosurgeons negligent and awarded damages to the plaintiff. The only remaining defendant in the case before the 3rd DCA (and soon, the Florida Supreme Court) is this one anesthesiologist. As our West Palm Beach medical malpractice lawyers know, medical negligence cases are often quite complex. Plaintiffs must find a legal team with extensive knowledge, experience and a history of proven results in order to prevail.